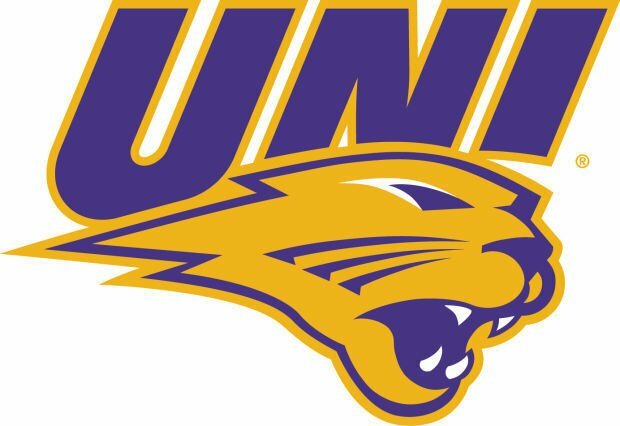 MINNEAPOLIS — Northern Iowa put together a late charge, but the Panthers were unable to overtake Minnesota Friday as their season came to an end in the opening round of the Women’s National Invitation Tournament, 91-75. The Gophers got off to a sizzling start, putting 30 points on the board in the opening quarter. They shot 64.3 percent in the first half, including a 9-for-14 clip from 3-point range, and led by as 27 points at 44-17 before taking a 52-28 lead to halftime. The Panthers, who never led in the game, shot 37 percent in the first half and gave up 10 costly turnovers that Minnesota turned into a 20-3 advantage in points off turnovers. Karli Rucker had 12 points and hit 3 of 4 from behind the arc to lead UNI’s offense over the first 20 minutes while Destiny Pitts had 16 points, Mercedes Staples 12 points and five assists and Kenisha Bell 11 points and eight assists for Minnesota. UNI was unable to put much of a dent in its halftime deficit and faced a 70-49 deficit heading into the fourth quarter. That’s when things got interesting. The Panthers whittled the Gophers’ advantage to 77-70 on Heidi Hillyard’s lay-up and Alyssa Iverson’s 3-point bucket with 4:44 to play. They were within 10 points again at the 3:05 mark before Minnesota got a big 3-pointer from Pitts and put the game away. Rucker finished with 26 points and Nicole Kroeger added 16 for UNI, which fell to 0-11 all-time against Minnesota and wrapped up a 20-13 season. Pitts piled up 29 points, Bell had 22 points and 12 assists, Taiye Bello finished with 17 and Staples added 14 for the Gophers, who shot 55 percent for the game and hit 10 of 23 shots from behind the arc. Minnesota advances with a 21-10 record. NORTHERN IOWA (20-13) — Gunnels 0-3 0-0 0, Hagen 3-6 2-2 8, Rucker 9-15 4-7 26, Kroeger 6-7 2-2 16, Morgan 4-9 1-1 9, Iverson 1-2 0-0 3, Simon-Ressler 0-0 0-0 0, Wolf 0-3 0-0 0, Hillyard 2-6 0-0 4, Gerrits 4-8 0-0 9. Totals 29-59 9-12 75. MINNESOTA (21-10) — T. Bello 4-5 9-11 17, Garrido Perez 1-5 0-0 3, Pitts 10-16 4-4 29, Staples 5-8 0-0 14, Bell 8-16 6-7 22, K. Bello 0-0 0-0 0, Kaposi 1-2 0-0 2, Lamke 2-4 0-0 4. Totals 31-56 19-22 91. 3-point goals — UNI 8-24 (Gunnels 0-3, Rucker 4-5, Kroeger 2-2, Morgan 0-4, Iverson 1-1, Wolf 0-3, Hillyard 0-2, Gerrits 1-4), Minnesota 10-23 (Garrido Perez 1-3, Pitts 5-10, Staples 4-6, Bell 0-4). Rebounds — UNI 29 (Hagen 4, Rucker 4), Minnesota 29 (Bell 7). Assists — UNI 17 (Hagen 3, Rucker 3, Morgan 3), Minnesota 20 (Bell 12). Turnovers — UNI 17 (Rucker 6), Minnesota 13 (Bell 5). Blocks — UNI 2 (Gunnels 2), Minnesota 2 (T. Bello 1, Lamke 1). Steals — UNI 9 (Kroeger 3), Minnesota 7 (Staples 3). Total fouls — UNI 19, Minnesota 14. Fouled out — none. Att. — 2,549. 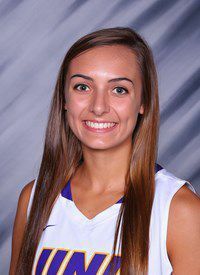 NORTHERN IOWA (20-13) -- Gunnels 0-3 0-0 0, Hagen 3-6 2-2 8, Rucker 9-15 4-7 26, Kroeger 6-7 2-2 16, Morgan 4-9 1-1 9, Iverson 1-2 0-0 3, Simon-Ressler 0-0 0-0 0, Wolf 0-3 0-0 0, Hillyard 2-6 0-0 4, Gerrits 4-8 0-0 9. Totals 29-59 9-12 75. MINNESOTA (21-10) -- T. Bello 4-5 9-11 17, Garrido Perez 1-5 0-0 3, Pitts 10-16 4-4 29, Staples 5-8 0-0 14, Bell 8-16 6-7 22, K. Bello 0-0 0-0 0, Kaposi 1-2 0-0 2, Lamke 2-4 0-0 4. Totals 31-56 19-22 91. 3-point goals -- UNI 8-24 (Gunnels 0-3, Rucker 4-5, Kroeger 2-2, Morgan 0-4, Iverson 1-1, Wolf 0-3, Hillyard 0-2, Gerrits 1-4), Minnesota 10-23 (Garrido Perez 1-3, Pitts 5-10, Staples 4-6, Bell 0-4). Rebounds -- UNI 29 (Hagen 4, Rucker 4), Minnesota 29 (Bell 7). Assists -- UNI 17 (Hagen 3, Rucker 3, Morgan 3), Minnesota 20 (Bell 12). Turnovers -- UNI 17 (Rucker 6), Minnesota 13 (Bell 5). Blocks -- UNI 2 (Gunnels 2), Minnesota 2 (T. Bello 1, Lamke 1). Steals -- UNI 9 (Kroeger 3), Minnesota 7 (Staples 3). Total fouls -- UNI 19, Minnesota 14. Fouled out -- none. Att. -- 2,549.